Today has certainly been a very busy day for both Aston Martin and Aston Martin Racing, both on and off the track with a whole plethora of announcements being made. Starting off track - parent company Aston Martin Lagonda have had a busy day at the Geneva Motor show launching (amongst other things) a new range of AMR inspired road cars, further complimenting its fleet of cars equally at home both on and off track. Revealing the two Aston Martin Racing influenced cars, the Rapide AMR and Vantage AMR Pro set an early benchmark for the day with these two cars being the first of many more AMR influenced designs currently being developed by David King's Special Operations department. These two awesome looking machines follow in the footsteps of the Vulcan hyper car as well as the Vantage GT8 and GT12 road-racers - cars that have already earned their 'stripes' at events at the Nordschleife amongst others. 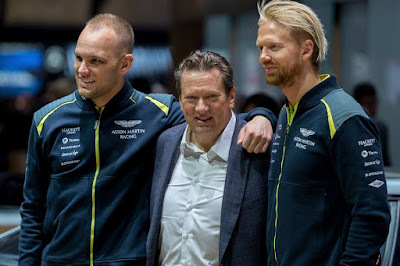 A great personal touch today came with Young Driver AMR boss Jan Struve taking the applause from the crowd alongside WEC Champions Nicki Thiim and Marco Sorensen despite his organisation's decision to step back from competitive motorsport in 2017. Thank you for what you have done Jan and we hope to see you back in the very near future. Elsewhere - Motorland Aragon in Spain to be specific, you would find many more of the Aston Martin Racing WEC squad undertaking the first of a multi day Dunlop tyre test in readiness for the start of the season that starts with the Prologue at Monza at the end of March. From the picture above (thanks to Darren Turner for that) the team have at least two cars at the circuit including visual confirmation of a new 2016 specification #98 car that will run in GTE Am with Paul Dalla Lana, Mathias Lauda and Pedro lamy. Another pointer with this car is that is at the 'Dunlop' tyre test with Dunlop stickers so its looking likely the team have decided to revert back to a more proven Dunlop tyre from the Michelin that they ran in the latter half of last season. 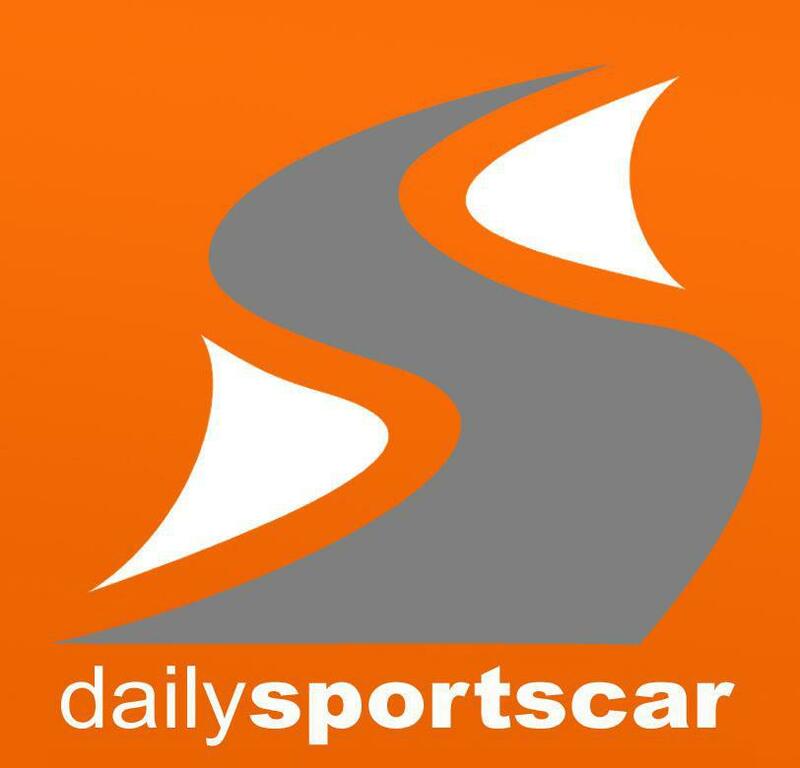 We understand that testing alongside Turner is his team mate Jonny Adam as well as Dunlop tyre development driver Daniel Serra being on hand again - BeechdeanAMR's Ross Gunn is also there although we do not think he will be driving. Finally this afternoon came confirmation that Aston Martin Racing have committed to a further five years within the World Endurance Championship - again leading the GTE field from the front.